Well, what a gorgeous long weekend. I hope you were able to make the most of it. Harry and I went down to Rye to do some serious relaxing. Mind you, it wasn’t all relaxing however. I’m currently writing a chapter for a book. It’s being published in the US and my deadline is this Saturday. So far it’s been a great experience getting my thoughts together and getting them into some kind of logical sequence. The book is called Women United: The Return of the Divine Feminine. My chapter is on birth. I talk about women reclaiming birth from the medical profession and honouring its emotional and spiritual importance rather than just seeing it as a medical event. In the chapter I talk about an ancient prophecy that originated in Central America many thousands of years ago. It tells the story of humanity, at one point in time being divided into two groups and taking two separate paths. The people of the Amazon describe these paths as the path of the Eagle and the path of the Condor. John Perkins is one of my favourite authors and visionaries. He describes the prophecy beautifully in this video. This prophecy exists in one form or another throughout most indigenous cultures on the planet. According to the tribes in the Amazon the path of the Eagle is the path of the mind. The path of science, industry, technology, separation and competition. It’s the masculine path. This path has fostered the patriarchal societies that dominate most of the world today. The path of the Condor, on the other hand, is the path of the heart. The path of love and compassion, respect for intuition, nature and a connection with the Great Spirit. This path honours women as creators and honours birth as a powerful act of creation. The people of the Condor follow the feminine path. They live in Matriarchal societies or societies that respect nature. The indigenous people that John Perkins refers to measure time in cycles. A Pachacutti is a 500 year cycle. And this prophecy, which began thousands of years ago, states that during the 8th Pachacutti, which began in the 1490s, the people of the Eagle and the Condor would come together and clash. During that 500 year period the people of the Eagle would became so powerful that the people of the Condor would come close to extinction. Incidentally that 500 year period began at the time when Columbus discovered America. At that time “civilization” started to wipe out the Indigenous Cultures all over the world. It was also the time of the Spanish Inquisition. A coincidence? Now, during the 9th Pacchacutti, which commenced in the 1990s, the prophecy says that there is an opportunity for the Eagle and the Condo to come together, rise up, dance in one sky and mate to create a society with a whole new level of consciousness. A society that connects the head and the heart. That combines and honours the divine masculine and the divine feminine. The prophecy doesn’t say that this WILL happen, it says that the opportunity for it to happen exists. It’s a choice that humanity can make individually and collectively. I don’t know about you but the vision I have of the future is the result of making that choice. It’s a future where men and women live and work together as equals. A future where we use technology and science and medical advances for the benefit of all humanity not just to profit a few. It’s a world where corruption and conspiracies don’t exist because when we have made that connection between our head now heart we naturally live in integrity and care for each other. John Perkins wrote a book called The World as You Dream It. As you probably know I’m a big believer in the power of the mind to create and attract what you focus on, so I seriously suggest that we start looking for those opportunities to connect our mind and our hearts, to listen to our intuition, care for our fellow human and respect Mother Nature. There are choices we make every day that we can make from our head or our heart, or both. Whether it’s in our personal lives, our work of our relationship with Nature. A lovely example is Richard Gere in the movie Pretty Woman when he made the decision to stop destroying companies to building ships. When decide to live from the heart great changes occur. So what do you get when you cross an Eagle with a Condor? I’m guessing it could be pretty close to Heaven on Earth. I’ll hop off my soapbox now and tell you about the upcoming Retreat which I am very excited about. It’s called Eat, Pray, Love and it will give you lots of opportunities to connect your mind with your heart. Here is some info…. Are you tired, overworked or stressed? Are you needing time out to feel nurtured? Does your body need a little detoxing and nourishing? Are you ready to explore some strategies to transform your life? Would you like to connect more deeply with your heart and soul? Then you will love our 2 day retreat…..
Time and Date: 6pm Friday June 10th to 4pm Sunday June 12th. This is over the Queen’s Birthday Weekend and staying on Sunday night is an optional extra. Places are limited and $100 deposit is required to hold your place. Pallotti College is located in the foothills of Mt Donna Buang. 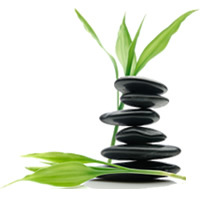 Its a 60 minute drive from Simply Natural Therapies. It’s a beautiful, relaxing setting and you’ll have plenty of time for unwinding, journalling, walking and sleeping. 2 nights accommodation in a private, single room, with shared bathroom. All meals (vegetarian) are included from Dinner Friday to Lunch on Sunday. EAT: Saturday morning. Whether you have weight issue or not you will discover how to be at peace with food and eat for health, energy and clarity. Learn about the Chi energy of foods and how to choose what your body needs with muscle testing. You’ll learn some quick and effective ways to eliminate cravings, detox, hydrate and alkalize your body. All meals are provided including morning and afternoon tea. PRAY: Saturday afternoon. Develop the art of quietening your mind, soothing your stress, setting your intentions and connecting to your intuition and guidance. Learn some powerful techniques to manage your thoughts and find that place of inner peace. Clear any resistance to receiving what you ask for so you can live in flow. Enjoy a gorgeous guided meditation and sound healing. LOVE: Sunday morning. Experience some beautiful processes to nurture and open your heart. Strengthen your self-esteem and reclaim your joy. Learn how to heal your past and release old stories, relationships and emotions. Free yourself to give and receive love and live from your heart. We will also have a 60 to 90 minute sharing/healing/meditation session on Friday and Saturday evening. This retreat will be facilitated by myself, Kara Kovacs and other Simply Natural Practitioners (to be confirmed). I would love you to join me for this gorgeous weekend away. BOOK HERE for this Retreat at our introductory, early bird price of $395. Be quick because places are limited and our next Retreat will definitely not be this cheap.